At last week’s AWS Re:Invent conference, The New Stack founder Alex Williams met with four industry leaders from Appcito, Sysdig, Rancher Labs and Runscope. They discussed the future of at-scale software development, virtualization, APIs, container security and more throughout their time at AWS. More businesses are pivoting to a containerized workflow. These companies need new solutions to help manage these development stacks. That has presented new opportunities for developers to create value for customers with microservices and APIs, by reducing common pain points that come with operating applications at scale. Williams first spoke with Kamal Anand, CEO of Appcito, regarding their business and the services they offer. Appcito is focused on application delivery for DevOps teams, security and analytics. A challenge Appcito addresses is container architecture versus the security of services. Attacks initially coming from outside a container could be coming from inside of it because a microservice was compromised. Appcito aims to make it simple to provision popular apps, such as WordPress, with the ability to create complex infrastructure with ease, provisioning over 600 rules in an app with a single mouse click. This means that one’s security team can focus on the application, rather than what rules to apply to a particular app. Appcito aims to balance ease-of-use with advanced APIs and configurability, allowing for users to tailor their experience to their company’s needs. Loris Degioanni, CEO and founder of Sysdig, offered insight into their company in another interview. Sysdig is a container visibility company building container monitoring and visibility products. Sysdig enables developers to use specific features of Linux to get visibility into one container while inside another. This allows for application monitoring and infrastructure without having to instrument it. One can view what services are running in a particular container and immediately start monitoring it. Sysdig can be deployed on a machine that is running multiple services. The technology offers the ability to understand what’s running within a container and understand logical relationships between particular services. For example, containers with a web-server service using a load balancer, the server itself, and a database need to report in unity rather than as individual services. Sysdig enables developers to keep track of the relationships between these services and report their performance no matter where a service allocates and structures it. This allows for cohesive, logical application dependency. Rancher Labs is an OSS project offering private container services. The team at Rancher Labs is currently working on storage, helping people develop app catalogs, and management platforms for how they deploy things such as Docker compose templates. Rancher Labs released Convoy last month, allowing for container snapshots and backup to be sent to data stores and ran/recovered from cloud-to-cloud within the next month. Shannon Williams is the co-founder at Rancher Labs. He noted that Rancher Labs has seen an enormous demand for persistent storage when working in containers. This ranged from users running ephemeral cloud apps to deployments of three-tier, non-microservice SQL database backends. Convoy’s container snapshots and backup works very well, allowing for users to disconnect a volume in a container from the volume itself. If the container host fails, it can then persist on local/mirror/EDS storage. This is a solution for not only next-gen applications, but legacy apps as well. These features help Rancher Labs users accelerate their team’s innovation, along with changing the speed at which users can modify applications they are deploying. John Sheehan of Runscope discussed how APIs are changing the world of container-based workflows. Runscope specializes in API performance-monitoring tools. These include uptime monitoring, workflows, chains and end-to-end functional testing of APIs. Runscope aims to help businesses reduce lost revenue they may experience from broken APIs running slowly, as API slowdowns are often the first indicator something in an application is experiencing bugs. Sheehan, who is co-founder and CEO, noted that slowness can be anywhere in a development stack. Working with a multitude of microservices becomes more complicated as a project expands. Understanding how one microservice may affect others even though they are not directly dependent on one another is still problem to solve. Runscope handles this by having none of its databases used by multiple services. Each new data store receives a new service as a result. Search services use ElasticSearch, while request vaults use Dynamo. With contained states, services on Runscope don’t need to know about other services, resulting in a more cohesive, individual-scale data store. These four discussions will be available for listening in their entirety on The New Stack’s SoundCloud channel. AWS Re:Invent 2015 was an exciting conference, with many opportunities to discuss the future of technology. Sitting down with Kamal, Loris, Shannon and John offered a look into not only how containers, APIs, and security are changing, but how the industry can continue to develop products for use at-scale in enterprise-level solutions, in the private sector, and via open source platforms. Creating products with value that also help individuals not in programming work with containers so their businesses can improve is crucial, as is continuing to improve the security of working within containers. Appcito, Sysdig, Rancher Labs and Runscope all offer their own unique solutions to some common issues experienced by application developers and individuals alike. These interviews shed light on how these four companies aim to solve these problems, and how other businesses can adopt container-driven technology to suit their unique needs. 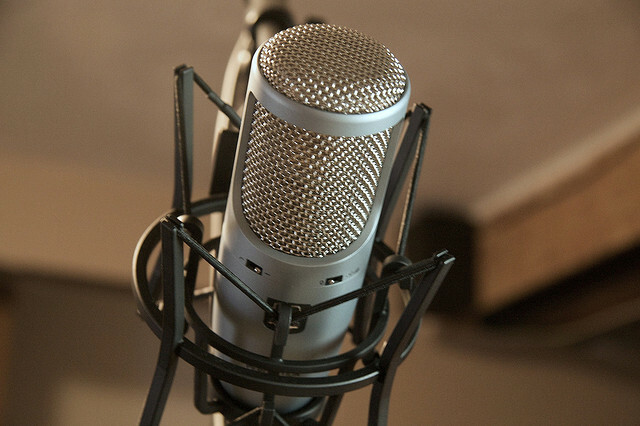 Feature image: “Microphone” by Matthew Keefe is licensed under CC BY-SA 2.0.